We slept in what once had been the gymnasium. The floor was of varnished wood, with stripes and circles painted on it, for the games that were formerly played there; the hoops for the basketball nets were still in place, though the nets were gone. A balcony ran around the room, for the spectators, and I thought I could smell, faintly an afterimage, the pungent scent of sweat, shot through with the sweet tang of chewing gum and perfume from the watching girls, felt-skirted as I knew from pictures, later in miniskirts, then pants, then in one earring, spiky green-streaked hair. Dances would have been held there; the music lingered, a palimpsest of unheard sound, style upon style, an undercurrent of drums, a forlorn wail, garlands made of tissue-paper flowers, cardboard devils, a revolving ball of mirrors, powdering the dancers with a snow of light. The opening paragraph of The Handmaid's Tale brings back memories of my own high school and college gymnasiums, Atwood's words painting a more visceral picture. The author has also done an effective job of setting the time line, describing how things have changed over time, making me wonder what is happening in the novel's present. I picked a random teaser as I have barely begun reading the book. The one I share immediately jumped out at me. It has an ominous sound to it, doesn't it? Margaret Atwood's The Handmaid's Tale, along with George Orwell's 1984, has been in the news a lot lately. Parallels are being drawn to events, actions taken, and opinions being expressed in our world today. My own reason for wanting to read The Handmaid's Tale is not completely related to current events as I have wanted to read the book for a number of years now--add to that my husband's occasional reminder that I should give it a try--but the timing seems right. So, when I saw mention on Facebook that Michelle of Gather Together to Read is hosting a read-along of The Handmaid's Tale in February, I thought the timing couldn't be more perfect. This is a modern classic begging to be read and discussed. Although the read-along is part of Michelle's 13 Ways Challenge, which I am not participating in, the read-along is open to anyone who wants to take part. There is a Facebook group for discussion, and she will be posting discussion posts on the main blog as well for those not on Facebook. 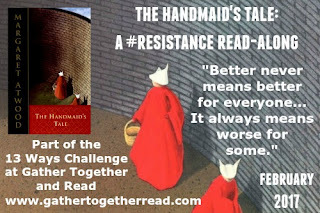 For the full schedule, details and to sign up, please visit The Handmaid's Tale - The #Resistance Read-Along. I hope you will join in! For awhile now I have contemplated joining the Classics Club, going back and forth about whether or not I want to make the commitment to read 50+ classic novels in 5 years. I periodically make a list of possible classics I would like to read, consider joining, and then talk myself out of it. It averages out to 10 books a year. Is it really a commitment I want to make? Truth is, I need to focus on my backlog of review books. Still, the idea of getting back to reading the classics has been tempting me for quite a while now. After talking it over with both Eustacia (Inside the Mind of a Bibliophile) and Debbie (Friday Friends), both of whom expressed their encouragement and support, I am going to take the plunge. Is this just another challenge? I don’t want to limit myself to a strict fifty titles, or plan ahead five years. There is so much to read. The idea is to create living lists. It’s assumed these lists will adapt to our exposure to literature. The point isn’t to challenge people to read by a strict list — but to create for ourselves a habit and a curiosity about literature. The idea is to grow together — to learn from one another and literature. It’s great if our lists reflect that growth throughout the event — changing and adapting as we become exposed to more literature, insight and feedback. So absolutely — switch up the titles on your list after you post it, at any time during the duration of your challenge. When I mentioned on Twitter that I worried about violating my "no challenges for 2017" rule, Marcelle of Lesser-Known Gems kindly pointed out that "the Classics Club is not a literary challenge. It's a life style choice." Semantics maybe. But I'll take it. Besides, there are plenty more books not on my "official" list that qualify as classics I want to read, which makes this more of a perpetual project than a time limited one (even though the club requires we give a deadline up front). Joining the Classics Club fits into where I plan to go with my reading anyway. A good mix of the old and the new. As I began putting together my list, I realized how many classic children's novels are out there I want to read, and what about classic speculative fiction in general, perhaps looking into some of the books or authors that helped shape the various sub-genres in that category over the years? And I just love crime fiction. I could probably read Agatha Christie novels for the next five years and nothing else (It's very tempting, actually)! Too often genre fiction is snubbed, seen as beneath "true" literature. I couldn't disagree with that assessment more. While some books may age more gracefully than others with the changing of times, genre books have helped shape culture and society over the years, not to mention future books within-and outside--their given genre as well. The definition of what constitutes a classic is quite broad for the purposes of the club, fortunately, and well it should be given the amount of literature out there, our diverse cultures and world, not to mention what we are exposed to. With each title added, I felt my growing excitement. I admit I left off some of the more hefty and ambitious novels I would like to tackle at some point. I didn't want to intimidate myself right out of the gate. It doesn't mean I won't get to novels like Bleak House by Charles Dickens or The Silmarillion by J.R.R. Tolkien someday. Just not likely right away. 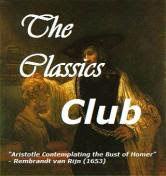 I am looking forward to exploring more of the classics and being a part of the Classics Club. My goal is to read at least 50 classics by February 1, 2022. Are there any classics you have been wanting to read, but haven't yet gotten to? I hope everyone's New Year has gotten off to a good start. The first week is behind us already, which seems crazy. My Christmas tree is still up, but I hope to get it down within a week or two. Unless my husband and daughter convince me to keep it up through March like we have the last couple of years. We shall see. We have been getting so much rain as of late. Not that I am complaining. I love the rain, and we get so little of it as it is. My mom left earlier than planned in order to avoid the worst of the storms up in her part of the state. We were all sad to see her go. Mouse enjoyed spending her Christmas break with her grandmother. New on the Shelves: The January My Lit Box theme is "Short But Not So Sweet," and from the goodies inside my subscription box this month, I see just what that means. Roxane Gay's Difficult Women, a Survivor note card, a "Burn the Ex" candle which smells like Aged Kentucky Bourbon (no kidding! ), and a book mark with an image of artist Frida Kahlo. I also recently purchased an e-copy of Hidden Figures: The Untold Story of the African American Women Who Helped Win the Space Race by Margot Lee Shetterly, which was a Kindle daily deal I just couldn't pass up. What I Am Reading: I just finished reading Northanger Abbey by Jane Austen, and I will likely be picking up Uprooted by Naomi Novik next. What I Am Listening To: I plan to start listening to my TBR List winner tomorrow morning on my way to work. Thanks again to all who voted! What I Am Watching: I recently watched Batman v Superman: The Dawn of Justice, which turned out to be much better than I expected. I also finally got around to watching Allegiant based on Veronica Roth's novel with the same title, the third in the Divergent series. What a difference from the book! After having seen the winner's title pop up on a number of blogs in recent months, I had a good idea of which book would win, but all three are ones I am excited about listening to and each received a good number of votes. Thank you everyone who took the time to vote! Yes, Please by Amy Poehler received 23.1% of the votes. Last year (doesn't that make it sound like a really long time ago? ), I asked you to help me pick two books to read in the first half of this year. Many of you were kind enough to oblige me. Included on that same list, along with other books I wanted to get to this year, I mentioned I would be reading one book of my husband's choosing and another my daughter selected. Well, my daughter was in the bath when I remembered to ask her last night and not in a position to pick a book; so I'll have to catch her at another time. She did say she'd rather pick one of her own books for me to read instead of one of mine--also adding that we have to read it together. I am okay with that. Thank you to all of you who recommended books for me to read this year by entering my poll last month. Ya'll, I am so EXCITED! Some of these were already on my to read list and after looking up each of them, they all are there now. 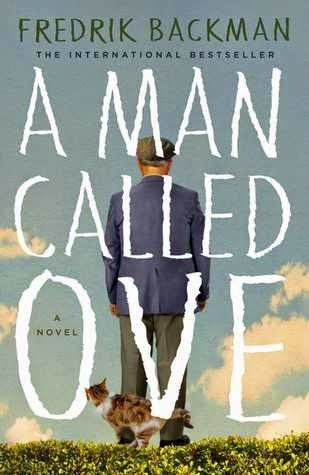 One, A Man Called Ove, I read the year before last--it was one of my favorite reads of the year. My goal is to read at least two of these in the first half of the year. I have a feeling I may get to more than just those two though. They all sound so good! Haunted houses are scary enough without knife-wielding clowns. Especially murderous knife-wielding clowns. So thinks Ellison Russell, single mother, artist, and reluctant sleuth. Now death wears a red nose and Ellison is up to the blood-stained collar of her new trench coat in costumes, caffeine, and possible killers. Who stabbed Brooks Harney? And why? Money? Jealousy? Drugs? With Mother meddling, her father furious, and her date dragged downtown for questioning, turns out Ellison's only confidante is Mr. Coffee. Summering with a fellow schoolboy on a great English estate, Leo, the hero of L. P. Hartley's finest novel, encounters a world of unimagined luxury. But when his friend's beautiful older sister enlists him as the unwitting messenger in her illicit love affair, the aftershocks will be felt for years. The inspiration for the brilliant Joseph Losey/Harold Pinter film starring Julie Christie and Alan Bates, The Go-Between is a masterpiece—a richly layered, spellbinding story about past and present, naiveté and knowledge, and the mysteries of the human heart. This volume includes, for the first time ever in North America, Hartley's own introduction to the novel. Eilis Lacey has come of age in small-town Ireland in the hard years following World War Two. When an Irish priest from Brooklyn offers to sponsor Eilis in America -- to live and work in a Brooklyn neighborhood "just like Ireland" -- she decides she must go, leaving her fragile mother and her charismatic sister behind. Fegan has been a “hard man,” an IRA killer in northern Ireland. Now that peace has come, he is being haunted day and night by twelve ghosts: a mother and infant, a schoolboy, a butcher, an RUC constable, and seven other of his innocent victims. In order to appease them, he’s going to have to kill the men who gave him orders. As he’s working his way down the list he encounters a woman who may offer him redemption; she has borne a child to an RUC officer and is an outsider too. Now he has given Fate—and his quarry—a hostage. Is this Fegan’s ultimate mistake? Stuart Neville is a partner in a multimedia design business based in Armagh, northern Ireland. This novel, also known as The Twelve in the UK and Ireland, is the first in a series. THIS IS THE WAY THE WORLD ENDS... FOR THE LAST TIME. A season of endings has begun. It starts with the great red rift across the heart of the world's sole continent, spewing ash that blots out the sun. Sarah Piper's lonely, threadbare existence changes when her temporary agency sends her to assist a ghost hunter. Alistair Gellis-rich, handsome, scarred by World War I, and obsessed with ghosts- has been summoned to investigate the spirit of nineteen-year-old maid Maddy Clare, who is haunting the barn where she committed suicide. Since Maddy hated men in life, it is Sarah's task to confront her in death. Soon Sarah is caught up in a desperate struggle. For Maddy's ghost is real, she's angry, and she has powers that defy all reason. Can Sarah and Alistair's assistant, the rough, unsettling Matthew Ryder, discover who Maddy was, where she came from, and what is driving her desire for vengeance-before she destroys them all? See what I mean? They all sound too good not to read. I am super excited about reading both of these (and all the others too!) Thank you again to everyone who took time to offer their recommendations! 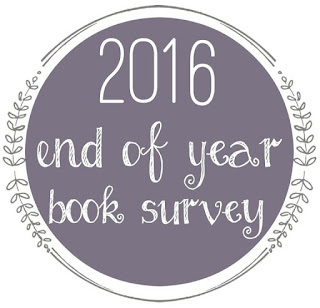 I enjoyed answering Jamie's (The Perpetual Page Turner) End of the Year Survey in past years and decided to join in again this year. If you haven't already, please check out the first half of my survey where I talk about my favorite reads of the year. Read Part 1 of my 2016: A Year in Review Post to see what books most caught my attention last year! In 2016 I published 159 blog posts. August was my most prolific month with 18 posts, and September was my slowest with only 9 posts. That's still pretty good considering. This past July, I celebrated 10 years of book blogging. Where has the time gone?! Thank you to everyone who has visited, read and/or commented here at Musings of a Bookish Kitty throughout the years. I cannot express just how much that means to me. You all are the reason I have kept at it for all these years. Well, that and my love for books. Obviously. The second year of my Postal Mail Club was another successful one. Each member selects a book and mails it along with a journal to their specified person on the club member list. We have two months to read the book, journal our thoughts, and then we mail the book to the next person on the list. This year, the books chosen were not necessarily ones on my radar, and some were even ones I would have passed over completely otherwise. That is part of the fun of being a part of a group like this. At the beginning of 2016, I began participating in Michelle's My TBR List Meme at Because Reading, enlisting your help in choosing one book each month to read. I really enjoyed having you all take an active part in selecting what I would read. It can be difficult to choose on my own with so many choices. I can waste a lot of time deciding! I am grateful to Michelle for coming up with the idea. I plan to continue to participate in the meme in 2017, and hope you will join me! I regularly participated in Diane's (Bibliophile By the Sea) First Chapter First Paragraph Tuesday Intros meme and later added in Tuesday Teasers (now hosted by Ambrosia of The Purple Booker), which seemed a natural progression. 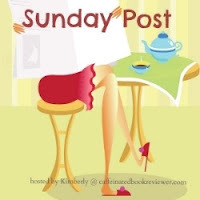 I also took part in the weekly Book Blogger Hop hosted by Billy (Coffee Addicted Writer) and The Sunday Post hosted by the wonderful Kim, the Caffeinated Book Reviewer. I have met so many new-to-me bloggers as a result. 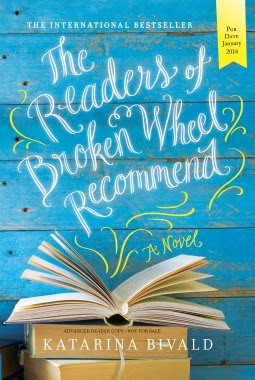 While my participation in Broke and Bookish's Top Ten Tuesday was at times sporadic, I had such fun coming up with lists--who among us doesn't like bookish lists? I am so thankful to all of you who host these memes. It's amazing that you are able to keep up. Diane and Michelle, especially, make a point of visiting every blog who link to their memes, something I appreciate and admire. In 2016, I tried out Karen's Beyond the Books topic, which was a lot of fun. My participation fizzled out after awhile, I'm afraid. Life got too busy to keep up. I also tried a couple other memes here and there as well, but they didn't stick. This past year, I signed up for several challenges early on. I tackled the TBR Triple Dog Dare hosted by James of James Reads Books in my own way and managed to complete it successfully. I also participated in last winter's Clean Out Your E-Reads Challenge hosted by Berls of Fantasy is More Fun, Michelle of Because Reading Is Better Than Real Life, and Stormi of Books, Movies, Reviews! Oh My!. which went hand in hand with the TBR Triple Dog Dare. I took on The Nonfiction Challenge, hosted by Jennifer of The Introverted Reader, with the goal to read between one and five nonfiction books. Well, I read one. So, I guess you can say that counts as a win, although not a very satisfying one. I attempted to take on FitReaders hosted by Felicia of The Geeky Blogger's Book Blog and Jen from That's What I'm Talking About, but lost steam somewhere in there. I got sick or something and just never got my momentum back. While I don't think I will be joining them again this coming year, I do plan to make an effort to become more active again. Poor motivation and stick-to-it-ness are my weaknesses. I just have to keep getting back on the wagon. My other challenge failure in 2017 was the What's In a Name? Reading Challenge hosted by Charlie of The Worm Hole. I managed to read three books that fit into one of the six categories. A country (try not to use ‘Africa’!) - If Neverwhere were a country then maybe. But it's not. It's just Below. An item of furniture - My husband says a broken wheel (The Readers of Broken Wheel Recommend) doesn't count. A title with the word ‘tree’ in it - I began reading The Syringa Tree by Pamela Gien, but could not get into it, and so gave up. I had really hoped to like it. The novel is set in South Africa during the apartheid. 1. Keep track of last sentences in 2016. By keeping a log of last sentences from the books I read this past year, I was even more cognizant of just how significant a role they can play in my reading experience. Going back and reading through them at the end of the year, brought back so many of the books for me, including the feelings I had reading the books. I plan to do this again in 2017, along with continuing to keep track of first sentences. 2. Make more time to read. Yeah. I read less this year than I have in four years. I don't think I did too well with this goal. 3. Make Mouse's Corner a more regular feature on my blog. Also didn't happen. It looked like it might happen for awhile there this past summer, but then life got too busy again to keep up. I will not be participating in any challenges this year. As tempting as many of them sound, I like the idea of reading to my own tune this year. I also plan to participate in fewer book tours. I always try to only accept tour requests for books I really want to read, but occasionally I still get in over my head. There are so many great sounding books out there, after all. Thank you to everyone who shared their recommendations with me in my poll last month. I plan to share the list of recommendations in a separate post shortly. For several years now I have heard and seen people adopt one word of the year to inspire, guide and focus on each year. It's never something I took part in though. Until now. I got thinking about it a few weeks ago, playing around with the idea of choosing my own word. I floundered about for awhile, until finally seeking advice from friends on how best to come up with a word. The general consensus was that the word would more likely find me. One friend recommended journaling, or jotting down my thoughts in stream of conscious style, and it set me off on a different path than I had been on in coming up with my one word. 1. To cause to exist; bring into being. 2. To give rise to; produce. 3. To produce through artistic or imaginative effort. It is the third point that stands out the most for me in what I hope to focus and work on this year. Although the others may come into play in other ways. What I want to do this new year is write more. Not just blog posts, but write more for myself. I want to start journaling again, and find my way back into letter writing. Most of all, I want to get back to writing creatively, be it stories or poetry. I also want to explore and develop a more defined place with my Girl Scout troop. I am not the most crafty person, but I do love to sing--and so do the girls. I can also think of places in my work and family life my word can be beneficial. I am a passive person in many respects, but with my word, I hope to begin to open myself up to opportunities to grow and, well, create. From what I understand, these words can take on lives of their own, and I look forward to seeing what 2017 will hold for me and how my word and I will grow and evolve over the course of the year. I am also excited to see what the new year will hold for us in books. I look forward to hearing about what you are reading and comparing notes on books read that we have in common. Do you belong to any book groups? What did you read this year? How did you do on your 2016 reading challenges? What are your reading and life goals for this year? Did you come up with one word to focus on this year? I hope you all have an amazing New Year. to see what 2017 will bring. Read Part 2 of my 2016: A Year in Review & Looking Ahead. Overall I felt 2016 was a good reading year. I read less than I have in a while, but, for the most part, I enjoyed what I did read. There's a feeling a reader gets when opening a new book, one of anticipation and maybe a little fear. What if I hate it? What if I love it? Oh, I hope I love it! This year I was swept off my feet, visited new worlds, cried until my eyes were swollen and red, laughed, paced while I read as the tension kept building, and closed many books with an audible sigh of contentment, some of which left me deep in thought for a long time after. (Some of what I read falls under more than one genre. Here, I count them under the genre I most identified with the book, Also of note, my categorization of each book by sub-genre using broad definitions). Of the book I read, 6 were audio books. 19 of the 65 books I read in 2016 were written by men. 1 of the 65 was written by a male/female writing team. 1. Favorite Reads in 2016? Five books earned my top rating in 2016 (5 Paws). They each had that "wow" factor that is made up of a combination of good writing, well-developed characters, a memorable setting or world-building, an entertaining or thought provoking story, and one that brings out an array of my emotions. A book that makes me cry is worth its weight in gold. I went back to read my reviews when compiling this list, and I still feel the same excitement and awe I felt when I was reading them. 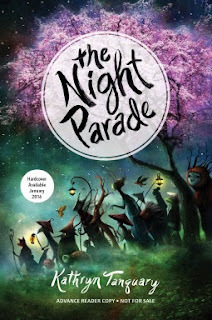 What a delightful book The Night Parade turned out to be! I loved every minute of it. I lost myself in the pages and wished I could join Saki on her adventures through the spirit world. The vivid descriptions, the sometimes quirky and always interesting characters, and the world Kathryn Tanquary has created had me under their spell as I read this novel. The story may seem simple on the surface, but it is quite complex when you look at it more closely. Healing and forgiveness are at the center of this novel as it deals with the difficult topics of war and dying. Stephen P. Kiernan expertly takes three seemingly different stories, one from the past and two from the present, and weaves them together. The Hummingbird is an emotional and thought provoking novel that will resonant with many readers. Fellow readers, I am so enamored with this book. Eleanor and Park, move over. There's a new young couple in my heart. [...] Nicola Yoon's writing style drew me in immediately. I appreciated the way Yoon told Natasha and Daniel's story. I liked the shifts in perspective, including the side stories of some of the minor characters. It was a good reminder of how our actions or inactions, however big or small, something so simple as a smile or a thank you--or lack thereof--can impact another's day. Our actions have consequences, whether good or bad, intended or not. We are all connected in some way. Although not in my top five, The Perfectly Proper Paranormal Museum by Kirsten Weiss came close and was my favorite crime fiction novel of the year. It is rare a cozy ends up being one of my favorite, although I do enjoy the sub-grenre from time to time. There was just something about this one that set it above the rest, and I am looking forward to reading the next in the series this coming year. 2. Book I Was Excited About & Thought I Was Going To Love More But Didn’t? Jesmyn Ward's Salvage the Bones sounded so good from its description, set in the South around the time of Hurricane Katrina. The writing is beautiful, and it's one of those books I feel like I would have loved if I had been able to get past the animal cruelty and dog fighting. Alas, it was too much for me and it ultimately hurt my enjoyment of the novel. 3. Most Surprising Book I Read? The Magician's Lie by Greer Macallister was a surprise to me. Somehow I got it in my head this was more of a mystery than it actually was. I also wasn't expecting it to be a historical novel. I must have forgotten that when I finally picked up the book to read. Regardless, I ended up really enjoying The Magician's Lie. 4. Book I “Pushed” The Most People To Read? 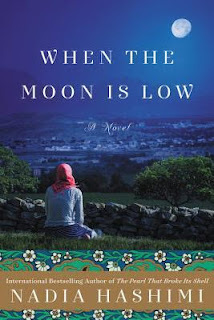 Both my mom and mother-in-law received copies of Nadia Hashimi's When the Moon Is Low for Christmas this year. 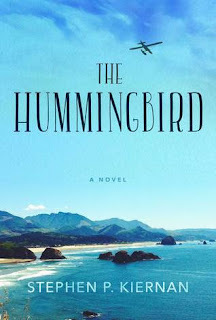 And I have been recommending The Hummingbird by Stephen P. Kiernan right and left. Also, Nicola Yoon's The Sun Is Also a Star. The Invisible Library series is a must read for anyone who enjoys fantasy and adventure. 5. Best series I started in 2016? So many! I am always starting new series (which is bad for all the series I have yet to finish). If I had to pick just one, I would have to say The Invisible Library Series by Genevieve Cogman. I read both The Invisible Library and The Masked City. It is such a fun series that features a librarian spy who travels between dimensions. Her home base has a distinct Victorian feel to it, with steampunk qualities. Seraphina and Shadow Scale, books in Rachel Hartman's duology featuring dragons and humans living side by side, was quite enjoyable as well. I look forward to visiting that world again. 6. Favorite Authors I Discovered in 2016? I know I should narrow this list down more, but I I find it impossible to do so any further. All of these amazing authors are new to me, and I definitely plan to read more of their books at some point in the future. 7. Best Book From a Genre I Don’t Typically Read/Was Out of My Comfort Zone? Grace Without God: The Search for Meaning, Purpose, and Belonging in a Secular Age by Katherine Ozment came at the perfect time for me, and I could relate to much of the author's own struggles with faith and religion. While the subject matter has long interested me, it isn't something I often read about and it definitely isn't something I am comfortable talking about on such a public forum as my blog. And yet, I did, and it was worth it. In audio, that would easily be John Scalzi's Redshirts: A Novel with Three Codas, which I couldn't tear myself away from and listened to in one day. In print, I will have to go with The Invisible Library and The Masked City by Genevieve Cogman. Both books had me from the start, and were almost full of nonstop action from start to finish. Another one that comes close to being just as action packed is Charming by Elliott James, an urban fantasy novel that, once it had me in its clutches, wouldn't let go. 9. Top Five Favorite Covers of Books I Read in 2016? 10. Book I Can’t Believe I Waited UNTIL 2016 to Finally Read? Why did I wait so long to read The Cuckoo's Calling by Robert Galbraith (aka J.K. Rowling)?! I know why, of course, but my excuse is silly given how much I ended up liking this book. I am eager to read the other books out in the series now. 11. Shortest Book I Read in 2016? 12. Longest Book I Read In 2016? 13. OTP of the Year (you will go down with this ship!) (OTP = one true pairing)? Natasha and Daniel from Nicola Yoon's The Sun Is Also a Star. No question about it. 14. Favorite Book I Read in 2016 From An Author I’ve Read Previously? 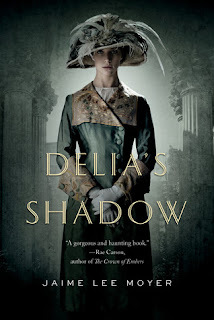 It would be easy to say Neverwhere by Neil Gaiman or The Hummingbird by Stephen P. Kiernan, both books which made my top five list in 2016, but I really want to give some love to Tessa Arlen's Death Sits Down for Dinner, the second in her Edwardian series, featuring Lady Montfort and her servant, Mrs. Jackson. I adore this series and am anxious to read the next book when it comes out. I also really enjoyed Amy Stewart's Lady Cop Makes Trouble, A Black Sail by Rich Zahradnik, and Curse of the Gargoyles by Rebecca Chastain, all of three of which are great series I am reading and can't help but mention. 15. Best World-building/Most Vivid Setting I Read This Year? I have so much love for The Night Parade by Kathryn Tanquary. The world-building is amazing and it's such a good book, combining modern day Japan with mythology and old traditions. Everyone should read it. Also, Anuk Arudpragasam's writing in The Story of a Brief Marriage vividly brought to life the conditions Dinesh and his fellow evacuees were living in on the coast of Sri Lanka during the civil war. It's one that stays with you quite a while after reading. 16. Most Unique Book I Read In 2016? Elan Mastai's All Our Wrong Todays. It was . . . mind-bending. Seriously. 17. Book That Made Me The Most Mad (doesn’t necessarily mean you didn’t like it)? Here Comes the Sun by Nicole Dennis-Benn had some pretty ugly mad-making moments. From colorism to the human trafficking and everything else that came with it. Amazing book, but a very difficult read. Another book that got my ire up rather significantly, but not in a good way, was Salvage the Bones by Jesmyn Ward. I really struggled with this one because it hit on a subject matter I have difficulty reading about (animal cruelty). 18. Book That Made Me Cry in 2016? I say it every year, but it would be easier to ask me which books didn't make me cry. Of all the books I read, the one that made my cry the most was Stephen P. Kiernan's The Hummingbird. It hit so close to home, and is such a beautiful book. 19. Book That Put A Smile On My Face/Was The Most FUN To Read? I loved every minute of reading The Readers of Broken Wheel Recommend by Katarina Bivald, which was such a fun read. 20. Hidden Gem Of The Year? 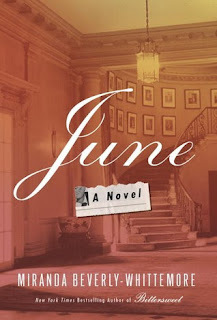 June by Miranda Beverly-Whittemore. I thoroughly enjoyed it--even gave a copy to my mother for Christmas this year. A dual time period novel set in 1955 and the present, it's set in a grand old house and has a little bit of everything-romance, family drama, intrigue, and even ghosts. I would love to know what your favorite reads of 2016 were! Please share a link to your favorites list below if you posted one--or just tell me in the comments. Did we read any of the same books? If so, what did you think? Here's to another great year in reading in 2017!